This is a set of sprites I made for my first HTML5 game. 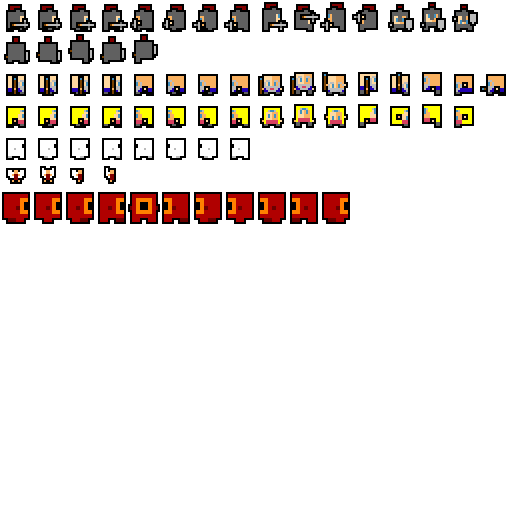 These sprites are available out there anyway, so I thought I'd release them here for anyone else interested! 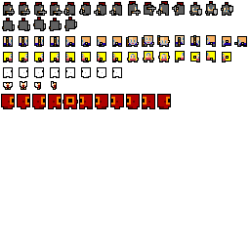 Sprites are essentially 16x16 doubled to be 32x32. Sorry, they are not particularly well organised or anything and any feedback would be gratefully received! This is my first submission, so sure there's room for improvement! 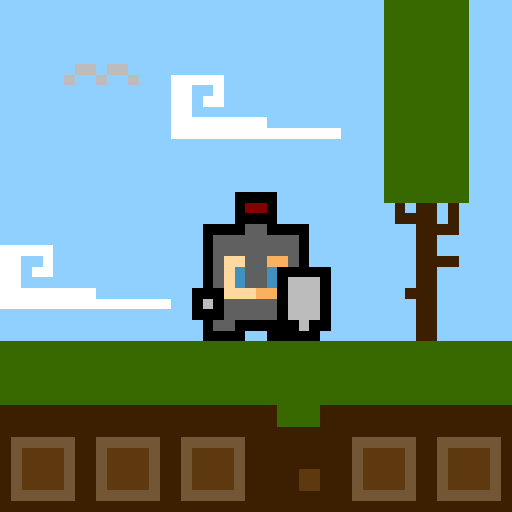 An example of them in use can be seen in the game I made (kind of a first project, not a complete game, more a demo) - Tiny Platform Quest: https://dancramp.itch.io/tiny-platform-quest there's also a video of the game play here: https://www.youtube.com/watch?v=DehdHBd6HRM Thanks, hope you like it! If you use it, let me know - I'd love to see what you do with it! Edit: I've updated the licence to 4.0 and removed the share-alike requirement. Nice work ! Your game is fun ! Love the art work. Any license ? Hey tastedpegasus! Thanks for the comments! The licence for the artwork is Creative Commons CC-BY-SA 3.0. Pretty amazing. Great work, always wished I could do 2d art. 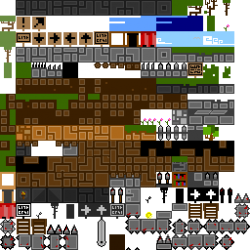 I can make a 3d world yet creating some 2D sprites is too complex for me to even do anywhere near well. I love the basic but great character and style here. Greate work. Your game is very fun. Which engine did you make this game? Love this tileset. Working on my own version of it that ill post when completed.